How many times have you humble-brag apologized for not being able to attend a meetup or get to a task because you’re busy? How often do we use busyness as an excuse? What pride do you take in having a full calendar? My calendar looks like the wall of a conspiracy theorist, and I admit that I get some sense of fullness from having somewhere to be, something to do, to be depended on. How many times have you humble-brag apologized for not being able to attend a meetup or get to a task because you’re busy? How often do we use busyness as an excuse? Given the neuroticism endemic in design work, it’s often more forgivable to skip a meeting, be late to a call, or bow-out of a project because you’re busy — so called. I am too busy to make time for this side-project I dropped the ball on, and I use my schedule as sugar on my apology for not making the progress others expect. I use busyness to avoid the difficult truth: I procrastinated, dropped the ball, folks are losing faith, and I am ashamed. I am not busy insofar as I am procrastinating still. Procrastination is a neurotic weapon. You avoid a moment’s discomfort by accruing anxiety-debt. You’re worried about the discomfort — in my case, how I am to be perceived — and you dwell on the past (me: how I dropped the ball). 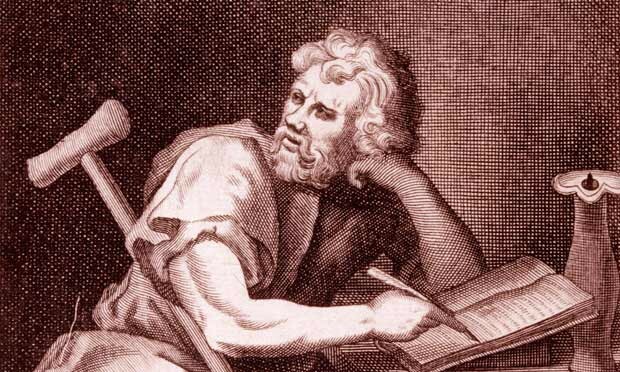 Epictetus would have us remember that what’s done is done and the future isn’t within our control, so there’s no value in giving what-ifs attention. What you have, what’s in your control, is the work. Just start the work. If you are careless and lazy now and keep putting things off and always deferring the day after which you will attend to yourself, you will not notice that you are making no progress, but you will live and die as someone quite ordinary. Busyness for its own sake is a tool of avoidance. Consider the contradiction in feeling good for advertising your busyness but feeling resentment for being given busy-work from your boss. What is busy-work if not the tool of insecure leaders? How often is busyness a crutch for the insecure? I write often about stoicism and design in a daily newsletter: stoicism.design.